A frosty morning for a run – all the better for seeing more clearly! Carol services always raise the contentious issue of the place of children. If the service is too child-centred the adults complain about it not being enough for them (as if services are for our own pleasure). If the services are too formal, parents worry that it’s been boring for their children. All very ironic as the Christmas story is totally child-centred (baby centred), and when that child grew up he used a child to show his disciples what faithfulness looks like. One way round is to take turns. One year, the Carol Service is for children – the next it’s for adults. While it may teach some people a lesson it doesn’t do much for healing divisions. The inescapable fact is that Christmas celebrates God’s gift, in the form of a baby and those who enter the spirit of Christmas accept that gift with joy. 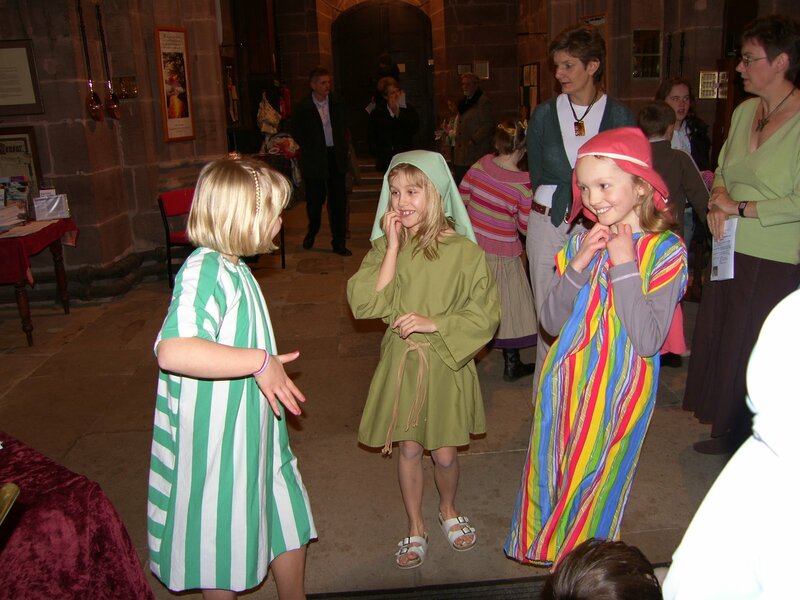 Children love the story and love playing their part in it – as you can see from these photos of our recent Nativity. Their response, joy and enthusiasm is an inspiration for us all. Not only should we welcome the Christ child as God’s gift, we should also welcome children as God’s gift – to be treasured, and as we say as a church in the baptism service – “we receive them with joy”. Posted in Uncategorized.Tagged Carol Service, Children, Christmas, Gift.